Frank Leslie Soanes was the youngest of eight children of James and Maria Soanes. He was born in 1898 at 7 Wellington Street, where his father was a hurdle maker and also ran the Half Moon beer house. Frank was educated at the British School in Park Street, and was a member of the Congregational church choir. 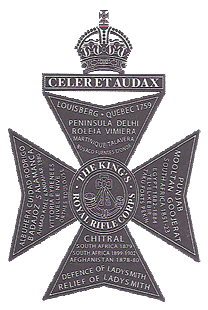 He joined the army in February 1917, enlisting as Rifleman R38992 with the Kings Royal Rifle Corps. Posted with the 18th (Arts and Crafts) battalion, they went to Italy in late 1917 to strengthen Italian resistance. The battalion moved back to the Western Front in March 1918 at the start of the German spring offensive. 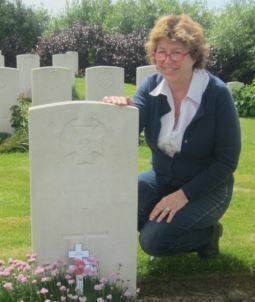 On the 16th September 1918, the battalion was at Vierstraat, near Ypres, when Private F L Soanes was killed. According to a letter to his parents from his platoon commander, he was on duty when an enemy trench mortar exploded and a portion of shell struck him in the back. He passed away after a few minutes suffering, dying as he was being carried to the rear. He was 20 years old, and is buried in Groottebeek British Cemetery Poperinge, Belgium. He is remembered in Thame on the war memorial, and the memorial boards of St Mary’s, All Saints, and Christchurch.